Preheat the oven to 350 degrees F. Grease and flour a 9-inch round baking pan. In a bowl combine the sugar, brown sugar, cinnamon, and nutmeg. Stir in the melted butter and then stir the flour. Mix well using a large spoon and set aside. In a medium bowl sift together the flour, baking powder, baking soda, and salt and set aside Using the paddle attachment of the electric mixer; cream the butter and sugar on high speed for 5 minutes and then reduce the speed to low and add the eggs 1 at a time, then add the vanilla, lemon zest, and sour cream. With the mixer on low speed, add the flour mixture to the batter until just combined. 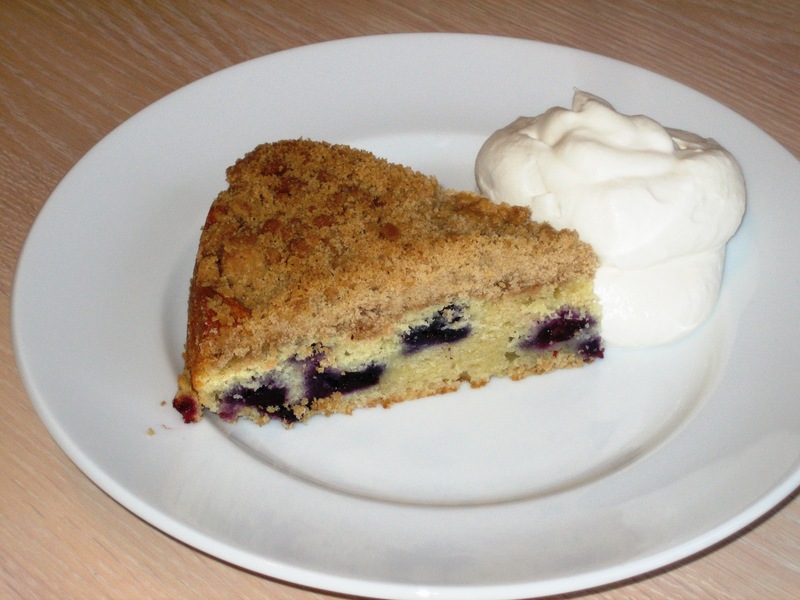 Fold in the blueberries Pour the batter into the prepared pan and spread it out with a knife. 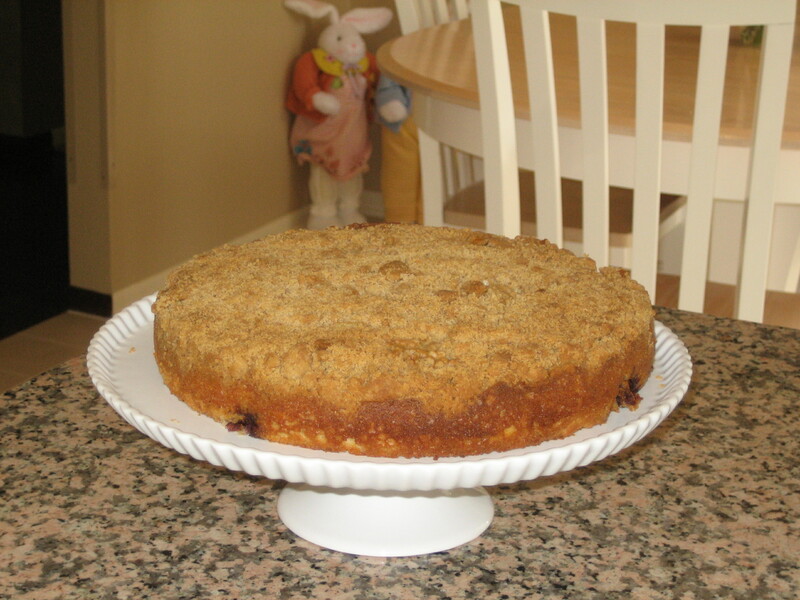 Crumble the crumb topping evenly over the batter and bake for 40 to 50 minutes, until a cake tester comes out clean.